Wyke beat Doncaster Toll Bar to progress to the final of the Pennine Cup. Wibsey Warriors beat Clayton 20-10 in a tough encounter to progress to the Bradford Cup final. 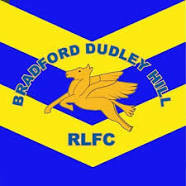 Bradford Dudley Hill lost 24-22 against York Acorn. Hill were in the lead 22-18 until the final few minutes where Acorn scored out wide. Then a penalty in 'extra time' gave York the win. Mate im still fuming about it. Ref played 44 minutes first half and nearly 52 in the second. Both their try and penalty were in added time. Yes we should have seen the game out at 22-12 but still was gutting to lose. The lads gave everything, Dave showed hes still got his twinkle toes! As a neutral what a great advert for conference rugby though. I know mate, felt like the game was going on forever. Robbed if I'm honest. Yeah maybe should have seen the game out but nothing you can really do if there's 16 mins added on. Thought Nelly scored two great tries and the try of the game was Dave stepping through a gap to put Tony through. Who was the number 2 of yours? Thanks pal! At least we're back in the main final this season that was the aim of Sat. Lots of amateur games in Bradford this weekend. With two matches at Odsal for the Bradford Cup and also two NCL matches for Dudley Hill and West Bowling. Might go down with my Gdad to watch Wibsey on Sat. I'm an ex player and my Gdad is one of their biggest supporters. Some really ace folks up at that club, as there are in most amateur sides. Who's your Grandad pal and yourself? My Grandad is Mick, I am also Mick, but you probably won't know me. You'll know him though. Aye Mick is a legend haha. Him and Dennis are up there all the time! Aye, they love it don't they. They were at the game on Sunday together with my Aunty Maddy. They're both great clubmen. Young Alex and many others amongst them too. Same final that used to be in the May bank holidays JJ? stupid to play it when seasonal games are on used to enjoy the day at odsal. Once as a player but plenty of times observing always a great afternoon. As I am writing this just heard its been called off that right?